THE DIRTY ARMY: Nik, this is Chris Elson AKA Eric Braga or Victor Elson. This is going to be the biggest piece of crap I have ever met. This man likes to steal lie cheat and abused Women constantly. This man has screwed up over 20 different women’s lives he has a bad habit of beating the s*** out of women. He doesn’t care if your female or not. 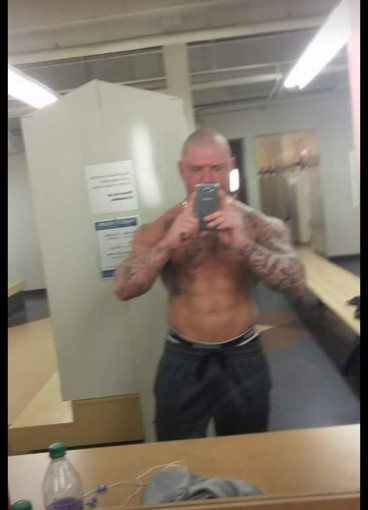 This man is also on Canada’s most wanted- he has a canada-wide warrant out for his arrest at the moment. This man is dangerous and extremely violent. He thinks he’s God’s gift to women but he’s anything but. His looks might be good but his personality makes him extremely ugly. To all girls out there if you’re smart you will steer clear of this man. He is anything but a good guy. He doesn’t care how much pain… he causes and whose life and believe me he’s caused a lot of damage and pain and screwed many many people over. It’s only a matter of time before his karma finally catches up with him. He claims to be patched member Affiliated but he’s full of crap. This man likes to live off of women. He’s too lazy to get up and get a job and when you’re no good to him anymore, he will just toss you to the side and move on to the next girl. But don’t get it twisted- he’s anything but loyal or faithful to any woman he has ever been with. Chris Elson is the low life of all lowlifes. He has 3 different baby mamas and he doesn’t see any of his kids nor does he care about any of his kids. He doesn’t mind making babies, but he certainly doesn’t want to help take care of them. So girls, if you see or talk to this man do yourselves a favor and just steer clear from him. Save yourselves the trouble.